Large bodies of water have always been relaxing and refreshing to me, and usually surrounded by great natural beauty. 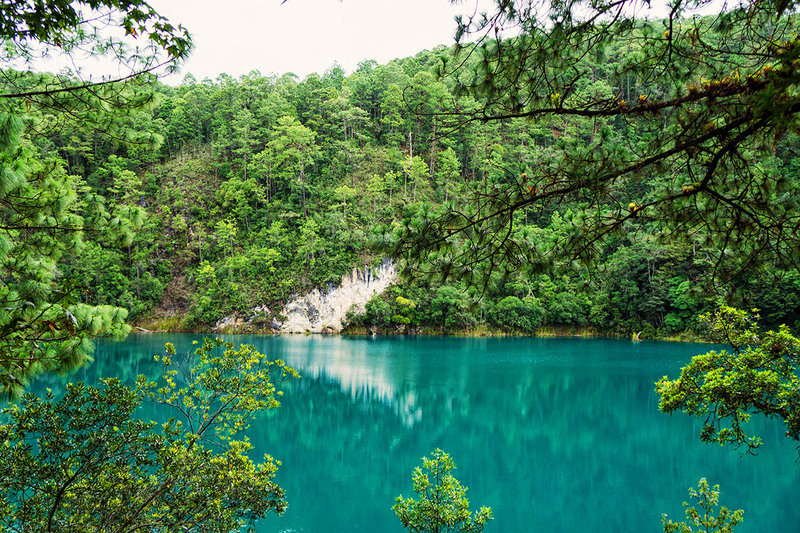 My recent trip to the Montebello Lakes in Chiapas, Mexico’s Lagunas de Montebello National Park was no exception. Pictured above is the first lake I stopped at – you’ll notice the incredible blue color, which immediately took my breathe away. Yes – that is the actual color of the lake! It’s Lake Ensueño, one of the 5 Lakes of Colors (Lagunas de Colores). Check back soon for a full report on the other incredible lakes in this park!